” Canned Hunting & Trophy Hunting Adverts contribute towards site running costs, but currently may not fit with the site ethos. We will continue to work on a solution. Where Do The Animals For These Hunts Come From? Why Are They Called Canned & Trophy Hunts? Canned hunting and trophy hunting is where companies trap wild animals in enclosed areas, and accept large payments from individuals to kill them. Under the rules of many companies, the sick, bloodthirsty people who kill the animals do not have to pay unless they get a kill. That is why it is in the interest of the greedy and heartless companies who run the hunts to make sure the animal has no chance. Canned hunting is big business. There are an estimated 1,000 game preserves in the U.S. alone. Image: Sick trophy hunters look pleased as they pose with the beautiful innocent Lion, Leopard, Elephant and Zebra they have taken the lives of for fun. The animals are kept in enclosed fenced areas of between a few yards and thousands of acres, depending on how much of a challenge the hunter wishes to pay for. The companies assist in making the kill easier by telling the hunters where the animals spend time and what their habits are. They also allow dogs to help with the hunt and feed stations are used to lure the animals. The animals are often hunted until they are exhausted and frightened, especially when they find they cannot escape. The animals are often accustomed to humans. They can be bred specifically in breeding farms or can be unwanted and surplus animals from zoos and circuses. Canned hunting mainly occurs in South Africa. Over 6000 captive-bread lions in over 2000 predator breeding facilities supply this bloodthirsty sport to hunters in their thousands from across the world; particularly from the United States, Germany, Spain and France. Breeders remove the cubs from their mother so that the lioness will quickly become fertile again. In the five years to 2006, 1,830 lion trophies were exported from South Africa; in the five years to 2011, 4,062 were exported, a 122% increase, and the vast majority captive-bred animals. (Source). Unfortunately this activity is more popular now than ever before. There are more lions bred for this barbaric activity than there are wild lions in South Africa (Source). The animals are often hand-reared and bottle fed so they are not fearful of humans. When they see hunters they approach thinking they are going to be fed, but instead get murdered. This guarantees the hunters go home with a ‘trophy’. After the killing, the animals head and other body parts are sent home to taxidermists for wall mounting in the trophy hunters home, or sold to certain markets such as Chinese medicines, which feeds the growing demand and in turn increases trophy hunting popularity. The term trophy hunting is used because these twisted hunters kill these animals in order to mount their heads, horns, or antlers on their wall. It is called a canned hunt because the animals are trapped in an enclosed area. Hunters often pose for photos with the animal they have just killed, proud of the barbaric cruelty they have just inflicted. 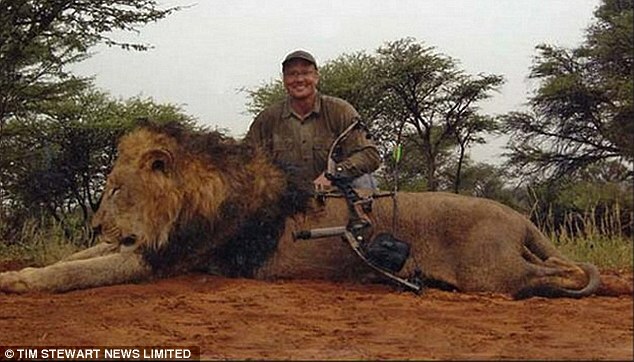 Rich U.S Dentist Dr Walter Palmer from Minnesota, hated because of trophy hunting Cecil the popular Zimbabwe lion who was lured from a national park, and other animals too. Two Zimbabwean men were arrested for taking him on the guided hunt. Cecil was wounded with an arrow and shot dead 40 hours later. The dentist paid $50, 000 to go on the trip. Trophy hunting is getting more popular. Charities such as the WWF support trophy hunting because of the money it brings in for conservation. Because the hunts take place on private land, laws to protect wild animals are difficult or impossible to enforce. Only a handful of American states currently prohibit canned hunting. Ted Turner is the largest private landowner in the U.S. and allows hunters to pay thousands of dollars to kill animals on his land. Trophy hunting is also legal in South Africa and attempts to get the practice banned has failed. Cecil the Lion was killed by an American Dentist in 2015. Even though this is legal there are restrictions or regulations in place about which animals can be killed, hunting locations and the weapons that can be used. Trophy hunting is different from poaching. Poaching is the the illegal killing of wild animals to harvest something from them such as ivory. However often the bones and other parts of canned or trophy hunted animals make their way in to these poaching markets. Doesn’t that make it another form of poaching? There is also a school of thought that trophy hunting helps conservationism, in that the high costs of going on such a hunt is put back in to helping local wildlife, particularly endangered species. It also deters hunters from poaching wild animals. The illegal poaching of, and trade in, wildlife products is a lucrative market which is estimated to be worth between $15 and $20 billion annually. 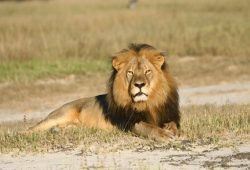 The UK Government planned to ban lion imports from trophy hunting in 2017. However there is something immoral about killing animals for fun, and the emotive feeling this creates can potentially lead to events such as the suicide of big game hunter Melania Capitan. Source. 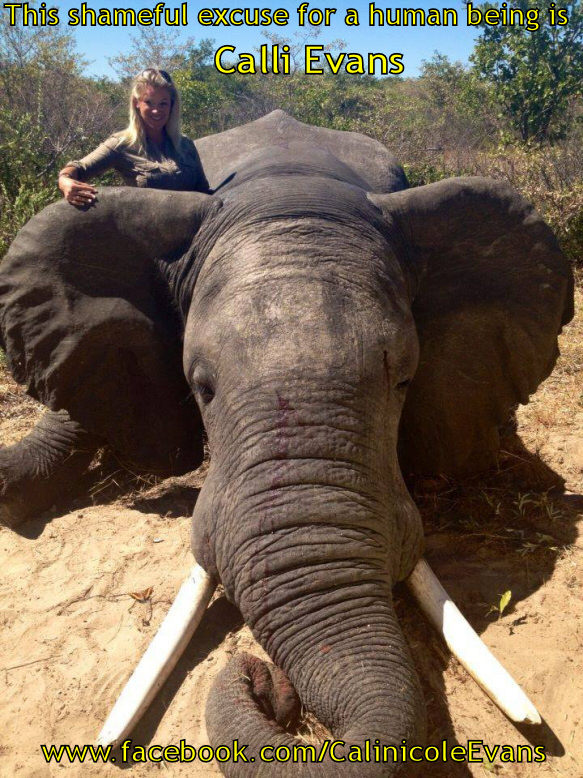 This is what happens on a typical canned or trophy hunt. There is a variety of methods to help stop canned and trophy hunting. 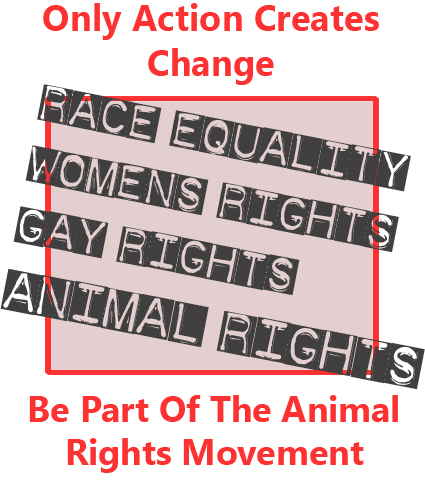 Sites such as Stop Trophy Hunting have a wealth of information and a petitions section. There are also Social Media groups such as Stop Trophy Hunting NOW which covers a wide spectrum of animals on the trophy hunting list. One Green Planet has an excellent article on how you can help to stop trophy hunting.